Congenital ichthyosis is a genetically heterogeneous group of disorders of keratinization characterized primarily by abnormal skin scaling over the body. These disorders are limited to skin and are severe in about two thirds of the patients. Additional syndromes involving also ichtyosis apart from several other non-skin manifestations are also described. Ichthyosis is one of the most frequent single-gene disorders in humans. Some estimations report about 1 case in every 250 children. All type of Mendelian transmission have been described, with variable grade of severity and age of onset. High-throughput sequencing has tremendously helped in identifying new genes in congenital ichthyosis. Autosomal recessive congenital ichthyosis-1 (ARCI1) is caused by homozygous or compound heterozygous mutation in the TGM1 gene. Genes involved in other genetic subtypes are ALOX12B, ALOXE3, ABCA12 (ichthyosis harlequin type), CYP4F22, NIPAL4, LIPN, CERS3, PNLA1, and ST14. In addition, SLC27A4 gene mutations have been found to cause a self-improving form of ichthyosis (ichthyosis prematurity syndrome). An X-linked form of congenital ichthyosis is described to be caused by mutations (mostly large deletions) in the STS gene. Ichthyosis vulgaris is a dominantly inherited form of the disorder which is caused by heterozygous mutation in the FLG gene (filaggrin). The FLG gene is extremely difficult to sequence because of its high content of GC-rich stretches and should bee therefore anayzed only in expert labs. FLG-related ichthyosis have been described also to occur in an autosomal recessive manner, with an even more severe phenotype. Some forms of ichthyosis have been genetically localized on certain chromosomal regions, although the associated gene has not been identified yet, meaning that in some instances patients with clinically confirmed ichthyosis may remain molecularly unconfirmed. Ichthyosis may manifest as nonbullous congenital ichthyosiform erythroderma (NCIE) or lamellar ichthyosis. Most patients present with collodion membrane at birth and have palmoplantar keratoderma, often with painful fissures, digital contractures, and loss of pulp volume. Most patients evolve into the classic (severe) phenotype of the diseae, but about 10% heal spontaneously within the first few weeks (self-healing collodion baby). Harlequin ichthyosis is a rare and severe congenital ichthyosis involving the face. Facial appearance consists in severe ectropion, conjonctival edema, eclabium, flattened ears, broadened nose and large, thick, plate-like skin scales. Harlequin fetus type of congenital ichthyosis [ichthyosis, autosomal recessive 4B -ARCI4B] is caused by homozygous or compound heterozygous mutation in the ABCA12 gene. Ichthyosis exfoliative (ichthyosis bullosa of Siemens – IBS) is caused by heterozygous mutation in the KRT2 gene. Clinical findings are similar to those of epidermolytic hyperkeratosis. Congenital reticular ichthyosiform erythroderma (CRIE), also known as ichthyosis with confetti (IWC), is a rare skin condition characterized by slowly enlarging islands of normal skin surrounded by erythematous ichthyotic patches in a reticulated pattern. The condition starts in infancy as a lamellar ichthyosis, with small islands of normal skin resembling confetti appearing in late childhood and at puberty. The condition is autosomal dominant and caused by mutation in the KRT10 gene. A cyclic form of ichthyosis has been described. Patients show manifested erythema and superficial erosions at birth, which then improve in the first few months, and later develop palmoplantar hyperkeratosis with patchy erythema and scale developed elsewhere on the body. Mutations have been identified in the KRT1 or KRT10 gene. KRT1 mutations also cause a form known as Curth-Macklin type ichthyosis hystrix. A contiguous gene syndrome involving the STS gene and other adjacent genes on the X chromosome have been reported in some instances to cause ichthyosis in addition to Kallmann syndrome, features of X-linked chondrodysplasia punctate, short stature, and/or ocular albinism. Chanarin-Dorfman syndrome is a neutral lipid storage disease characterized by nonbullous congenital ichthyosiform erythroderma (NCIE) in addition to hepatosplenomegaly, vacuolated granulocytes (Jordans anomaly), and myopathy. The syndrome is caused by mutation in the ABHD5 gene and is autosomal recessive. Keratitis-ichthyosis-deafness (KID) syndrome is a rare ectodermal dysplasia syndrome characterized by vascularizing keratitis, congenital profound sensorineural hearing loss, and progressive erythrokeratoderma. KID-causing mutations can be found in the GJB2 gene (e.g. c.148G>A, p.Asp50Asn), although skin manifestations can be mild sometimes and keratitis may be absent. GJB2 mutations may also cause another form of ichthyosis: hystrix-like ichthyosis with deafness. SNAP29 gene mutations can cause a particular syndrome characterized by late-onset ichthyosis in addition to cerebral dysgenesis such as absence of corpus callosum and cortical dysplasia (pachygyria and polymicrogyria), neuropathy, and palmoplantar keratoderma (CEDNIK syndrome). The syndrome also includes microcephaly, severe neurologic impairment, failure to thrive with psychomotor retardation, and facial dysmorphism (elongated facies, downward-slanting palpebral fissures, mild hypertelorism, flat, broad nasal root, small fontanels, small chin), as well as palmoplantar keratoderma and ichthyosis. The syndrome is inherited in an autosomal recessive fashion. GATA3 mutations (which traditionally associates with hypoparathyroidism and deafness syndomre – HDR -syndrome) have been identified in a patient with congenital ichthyosis, hypoparathyroidism, and failure to thrive who later developed sensorineural hearing loss. Several other forms of ichthyosis have been reported (an interrogation of the OMIM databasae for the word “ichthyosis” results in more than 181 entries). Many of these forms have not been genetically characterized yet. 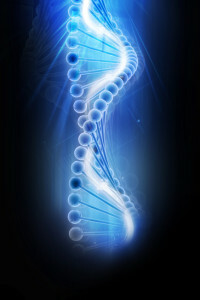 Further studies and single patient analysis through whole exome and whole genome sequencing will certainly be of help in identifying causative mutations in as-yet-unkown genes or to broaden the clinical spectrum of already known syndromes to include also ichthyosis as a possible manifestation. Posted in Academia, Disease cards, Last Update, Medical Genetics and tagged ABCA12, ABHD5, ALOX12B, ALOXE3, ARCI7, CASP14, CEDNIK syndrome, CERS3, Chanarin-Dorfman syndrome, Congenital ichthyosis, CYP4F22, FLG, GATA3, GJB2, Harlequin ichthyosis, ichthyosis bullosa of Siemens, ichthyosis exfoliative, ichthyosis vulgaris, ichthyosis with confetti, Keratitis-ichthyosis-deafness, KRT1, KRT10, KRT2, LIPN, NIPAL4, PNPLA1, SDR9C7, SNAP29, ST14, STS, SULT2B1, TGM1.